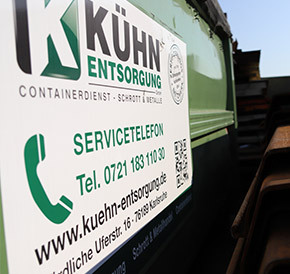 Kühn Entsorgung GmbH provides its customers with high-quality, reliable and customer-oriented support in the disposal and recycling of raw materials. 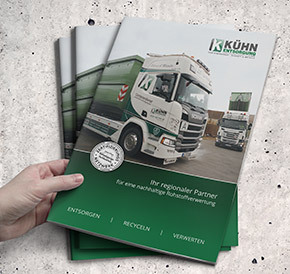 Now the company presents itself in a new information brochure, informs about itself and its work. We would also be pleased to create a company brochure for you – just contact us! You can reach us by phone at 0721 2012 120.